Most races are defined by the distance that the runner is required to go. The varying parameter is time: How fast can you do it? Not so with the SfN meeting. The duration of the meeting is fixed at precisely 100 hours. Of course, you can always show up late and leave early, but it really is the mileage that varies – how much can you get out of it? Presumably, you will want to maximize your personal yield. At the risk of beating a dead horse: Organization is critical for a (scientifically as well as professionally) successful meeting, as already alluded to here and here. The name of the game is then: How to get organized for SfN in order to be organized at SfN? But why does this need arise? The reason for the need to organize is that in 2010, a total of 17095 official conference presentations of all kinds are squeezed into the time frame between Saturday 1 pm to Wednesday, 5 pm. Technically, there are workshops and (paid) short courses taking place before Saturday – this is known as the “premeeting” – but is is understood that the meeting itself begins with the Saturday PM session. This is also when the vast majority of the attendees starts to arrive. The 8 days of SfN: Meeting and pre-meeting. Curiously – as the graph on the right bears out – there is also a full program on the last day, Wednesday. Anecdotally, I know that quite a few people will be missing this, as they are already on their way back home. But let us take a moment to contemplate the duration of the meeting in relationship to the offerings. As mentioned above, starting on Saturday at 1 pm and ending on at Wednesday 5 pm corresponds to 4 hours and 4 days, which – conveniently – works out to 100 hours (360,000 seconds or 6,000 minutes) or one hectohour. If all presentations were held back to back in one long continuously streaming track, we could squeeze all of them in by allotting 21 seconds to each of them. Now, keep in mind that the meeting is only actually in session for about half of these 100 hours (from 8 am to 8 pm); there is a slight imbalance due to the late start on Saturday and early ending on Wednesday, which works out to 51 “on” and 49 “off” hours during the meeting. Taking this into account, there is only a little more than 10 seconds available for each presentation. This is the core reason why the structure of SfN – in this regard – resembles the brain itself: Everything is necessarily going on in a massively parallel fashion. It has to. Given that – with a little good will – one can count 100 parallel tracks at SfN, this affords just shy of 18 minutes per presentation (on average). A much more reasonable number. But you still are only one person and – as far as we know – can only be at one place at one given time. In addition, there are strong local correlations in space and time – you cannot randomly access any point in the conference center from every other point without incurring a transit delay. This puts severe constraints on what you can actually attend, particularly if the convention center is as sprawling as the one in Atlanta (as momentous and majestic as it might be otherwise). Thankfully, the one in San Diego is much more compact. So you have to make do with your 51 hours (3060 minutes), somehow. That assumes that you spend 8 am to 8 pm at the actual meeting. This will be taxing. You have to jealously guard this time. You have to quite shrewd about what you attend and what not.Therefore, getting organized is key. It is absolutely imperative. You tend to reap at the meeting what you sow in the preparation beforehand. So how to get organized in time? Two words: “Meeting planner” andTriage. Technically, that is 3 words, but oh well. First of all, you should consult the meeting planner. 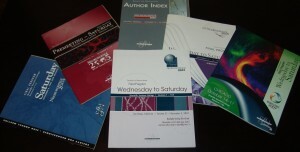 In the old days – prior to the meeting – the Society actually sent out booklets that listed all presentations for every individual day. As part of the “SfN thinks green” initiative, this was abandoned first in favor of CDs (one could install a meeting planner software), then in favor of online resources. In this day and age, these resources abound. First of all, you can still download the old-style booklets in PDF format from the SfN website: Scroll to the bottom of the target page. Also, they will probably still be handed out on request when picking the meeting credentials and/or lanyards (they were last year). I am not a Luddite, but these can actually come in quite handy when you are on the ground at the actual meeting (not so much beforehand). At past meetings, I typically carried the booklet of the day, just in case. But we do live in modern times. There are all kinds of ways to bring the meeting experience into the 21st century. 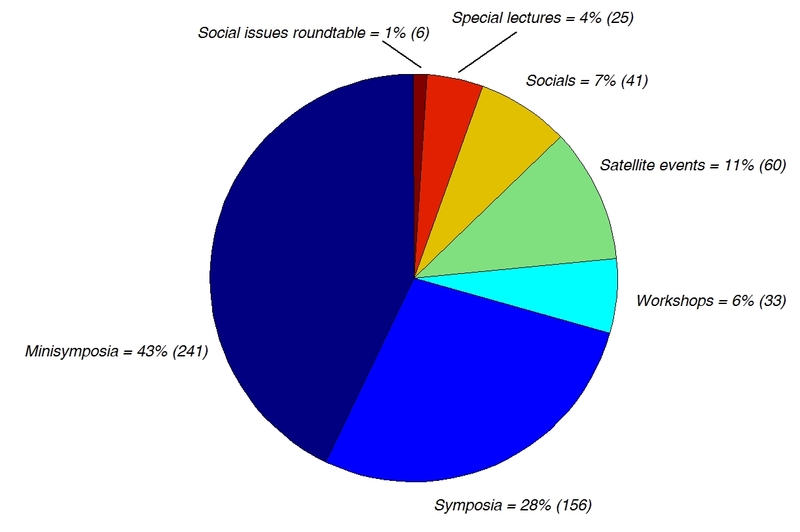 This starts with the official SfN meeting planner, which also contains all the abstracts. You can also download the meeting planner to your favorite mobile device (including iPad, Kindle and Blackberry). 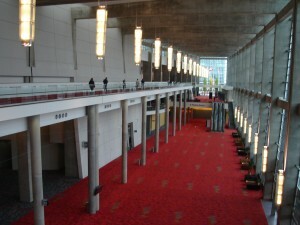 There is a wide variety of third-party software to enhance the meeting experience. You can find most of it with a cursory Google search. For instance, RIKEN is hosting a cool tool that allows you to find “related abstracts” based on the keywords in the abstract. It seems to work quite nicely. 3: The highest score. I absolutely have to attend this presentation and I will stay at it (if it is a poster) however long it takes to understand precisely what was done and what was found. This category is reserved for stuff that will hurt my research if I don’t know about it. This category is also the narrowest/smallest of the categories. It includes things like if someone is actively working on the very same project and is presenting a poster on it (ouch), or if it introduces a cool new method that everyone in my field will start using once the meeting is over. Things like that. 2: This category includes things that are likely to aid my research if I know about it. Most presentations in this category deal with things that are closely related to my own research interests. 1: This is a very diverse category. It includes things that are merely interesting, not necessarily relevant to my own research. There will be plenty of that. It also includes presentations by people who I know present extraordinarily well, or the presentations of friends (to see what they have been up to). In short: Interesting stuff, regardless of relevance. 0: Everything else. Subjectively (!) neither interesting nor relevant. But keep in mind that one man’s trash is another man’s treasure. That is why it is impossible to create one meeting schedule for everybody. You really have to make your own, fitting it based on your personal background. Why do you need these numbers? Once you arrange the presentations you want to go to in a neat meeting timeline, you will notice that there will be painful conflicts. Actually, these will abound. To reduce this pain, it is advisable to possess a clear-cut scoring system that allows to quickly adjudicate multiple claims on the same time slot. So that is the general heuristic: Use the meeting planner to find everything that is relevant and/or interesting, then arrange it in a timeline, then assign priority scores. Once done, you are ready for the meeting. 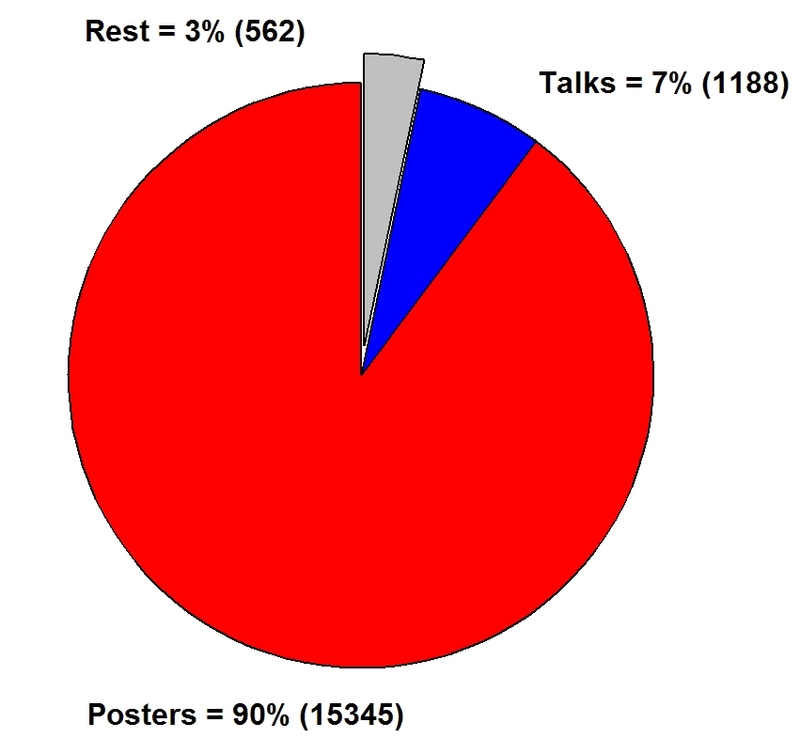 Note: While posters and talks do make up the bulk of the meeting in terms of quantity of presentations (97%), it can be argued that some of the other presentations make up in terms of the quality. This is particularly true for symposia and especially for lectures. These are usually delivered by the most senior figures in the field. Neuroscience allstars, if you will. These lectures typically present the perfect opportunity to gain an understanding of a field slightly outside your own. To forestall disappointments: The correlation between speaking ability and research accomplishments is not quite 1 (but it is also certainly not 0). Disclaimer: It has been noted that this blog is currently somewhat focused on SfN review/preview. This is true and the reasons for that are obvious. We will return to a more varied programming after SfN.